Ask the Job Readiness Lab: "How can I land a great job as an immigrant professional with foreign credentials?" Welcome to "Ask the Job Readiness Lab," a series of blog posts in which we address the questions of job seekers and share our answers with a broader audience. 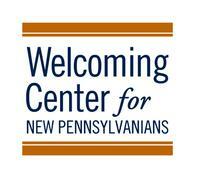 Here our partner, the Welcoming Center for New Pennsylvanians, addresses how immigrants with post-secondary credentials from abroad can find professional jobs in the U.S. I earned a degree in a country outside the U.S. Is my degree recognized in the U.S.? Can I get a professional job with a degree earned abroad? This depends on your field and whether the degree you earned abroad is recognized in the U.S. The first step is to get your credentials translated and evaluated. Contact the Welcoming Center for guidance on this necessary step. Your academic accomplishments will then be compared to U.S. standards and will help employers understand your educational background. To learn more about credential translation and evaluation, please email ipp@welcomingcenter.org or call 215-557-2626. 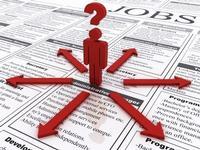 I am not able to find many job openings that match work experience I have from my home country. What can I do? Understanding what your transferable skills are is vital to your job search, especially for immigrants. What are transferable skills? They are skills you have acquired in your previous job that are applicable in a different role. When applying for jobs, do not feel limited by past job titles. Look beyond to understand how your academic qualifications and skills make you a good fit for the position. What is a professional network and how important is it for me to have one? It is extremely important that you have a professional network. Only 30 percent of job openings are advertised, which means that 7 out of 10 professionals are hired through professional connections. If you are an immigrant, you may have come to the U.S. without connections to professionals in your field. This is why it is especially important for you to start working on building a professional network as soon as you can. Building a professional network can be as easy as joining and being active in community groups or professional associations. The key is to start meeting people you would not ordinarily meet. I am going to my first job interview in the U.S. How do I prepare myself to ensure success? Soft skills, such as interpersonal skills and the ability to communicate, are quickly becoming the new yardstick for measuring success. Research shows that these skills account for as much as 85 percent of an individual’s success in a job, whereas traditional hard skills, such as academics and corporate job training, only account for 15 percent. This is why understanding soft skills is so important—especially for immigrants who come from different workplace cultures. Understanding the nuances of U.S. business culture can make the key difference at a job interview that lands you the job. Are there any specific resources for foreign-trained professionals in the Philadelphia area? 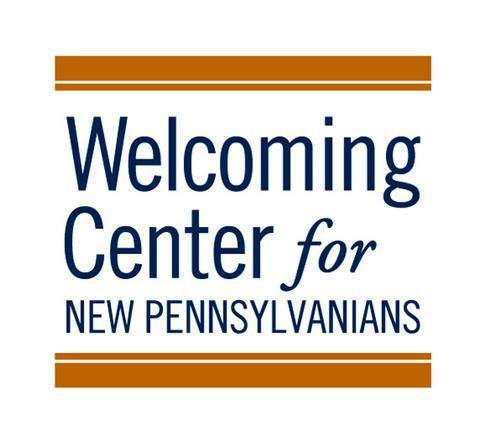 The International Professionals Program at the Welcoming Center for New Pennsylvanians is a nine-week intensive training program aimed at immigrant professionals looking to enter the professional workforce. After attending the program, you will have the skills and confidence to apply to and interview for professional jobs. For an additional 6 months, you will work closely with our team to connect to employment opportunities, and we will provide career coaching along the way. Some of the subjects covered: résumé writing, researching employers and applying for jobs, interviewing successfully, building a professional network, and designing an action plan for your career. If you are interested in applying for the program or if you would like to find out more, please email ipp@welcomingcenter.org or call 215-557-2626. The Southwest Job Readiness Labs are part of the Paschalville Partnership, a Free Library-led collaboration of 11 organizations working to transform services for job seekers in Southwest Philadelphia. The Job Readiness Labs provide free computer and internet access and one-on-one assistance to job seekers at two locations: Paschalville Library and Southwest CDC. Additionally, the partnership connects job seekers with deeper services, including skills training, adult basic education, ESL instruction, and financial counseling. This program is made possible in part by the Institute of Museum and Library Services. How can I land a great job as an immigrant professional with foreign credentials? Add a Comment to Ask the Job Readiness Lab: "How can I land a great job as an immigrant professional with foreign credentials?"